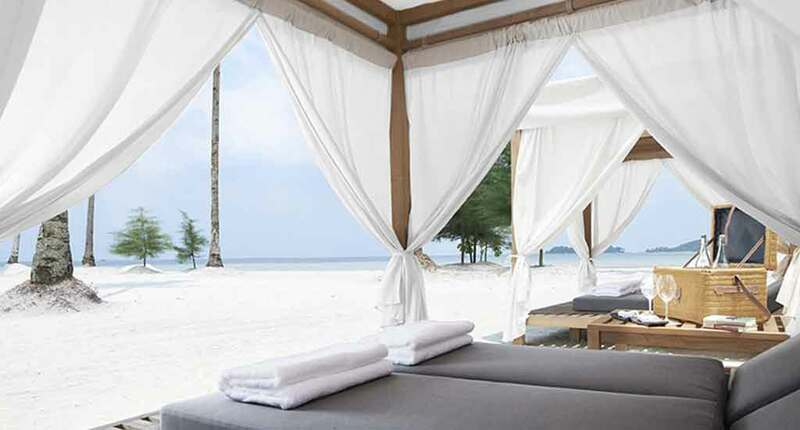 The Sanchaya resort is set along the pristine sands of Lagoi Bay on the northern shore of the Bintan Island. 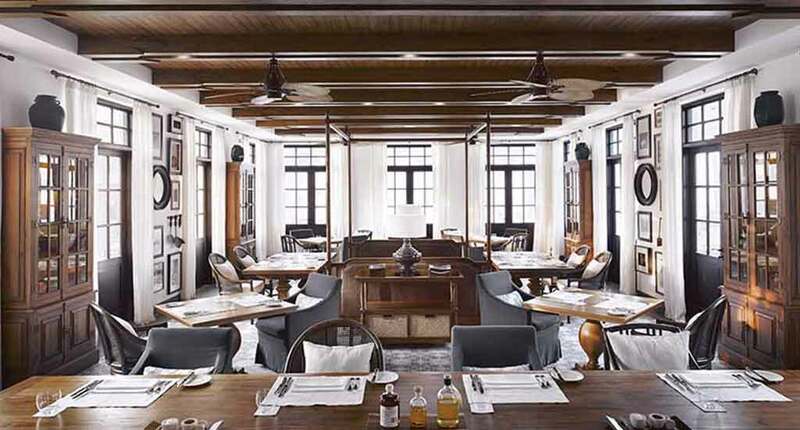 Bintan is just a 50-minute ferry ride away from Singapore, being a popular getaway for visitors who come to lounge on white sandy beaches, play golf and relax in luxury. 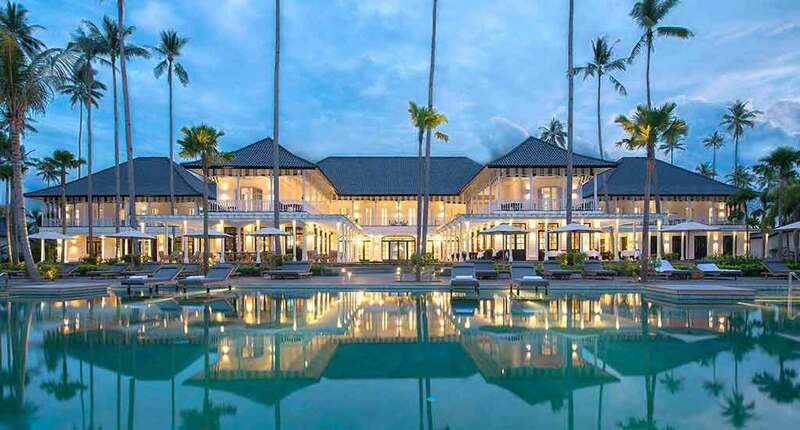 The main part of the hotel exudes colonial charm, complete with wooden decks and swirling fans, surrounded by manicured lawns and spacious villas. 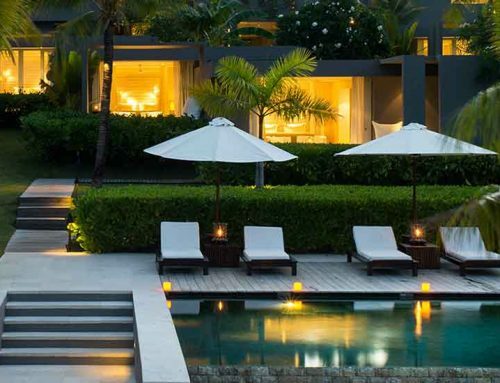 The hotel has a private beach, pool, 2 restaurants, spa, gym, yoga pavilion, croquet lawn, and laundry service. 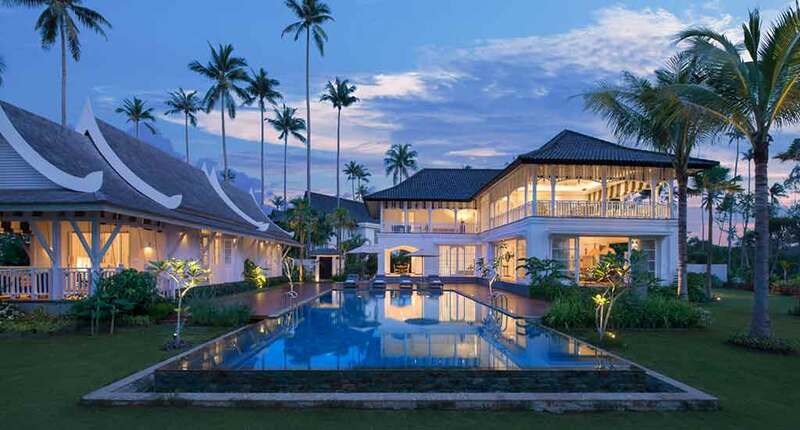 All 21 private villas and 9 suites are decorated with artworks, antiques and furnishings from varied cultures of South- East Asia, resulting in a harmonious blend between colonial elegance and Asian exoticism. 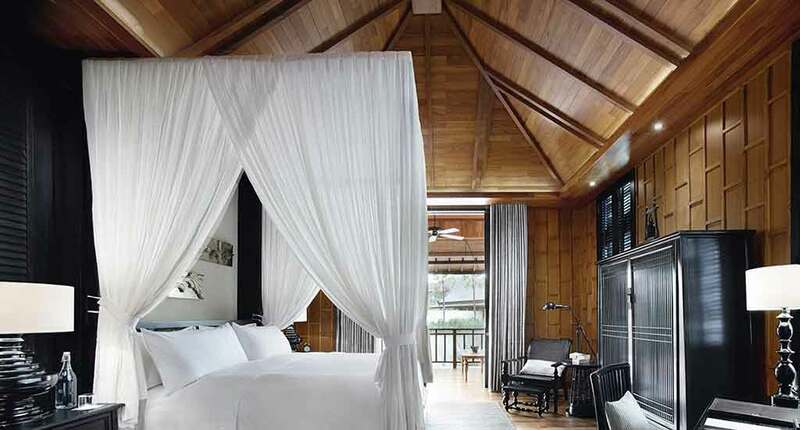 Each room either has verandas or balconies that offer astonishing views of the South China Sea or verdant tropical gardens. Rooms are equipped with super king-sized beds, walk-in closets and modern amenities such as iPads, television LCD/plasma screen, cable and Apple TV, free WiFi and air-conditioning. Other features include a minibar, tea- and coffee-making kit, free bottled water, yoga mat, personalised stationery, natural bath products, sarong, beach bag, wine fridge and welcome chocolates. 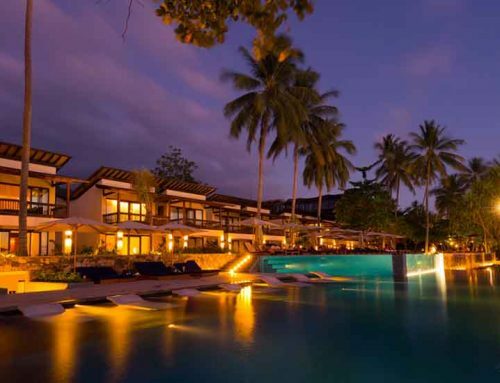 The 50-metre-long, salt infinity pool – known as the ‘Tasanee Pool’, which translates as ‘beautiful view’ in Thai- is situated in front of the main building and overlooks the sea. The Sanchaya has two restaurants: The Dining Room (which is open during day hours) and the Tasanee Grill, which serves romantic dinners beside the pool. The Dining Room serves contemporary European and Indonesian delicacies, and also has a wide list of wines to choose from. The Tasanee Grill offers an al fresco dinner, with authentic Thai dishes that are inspired by Bangkok’s vibrant street food. During daytime, they serve poolside light meals and refreshments. 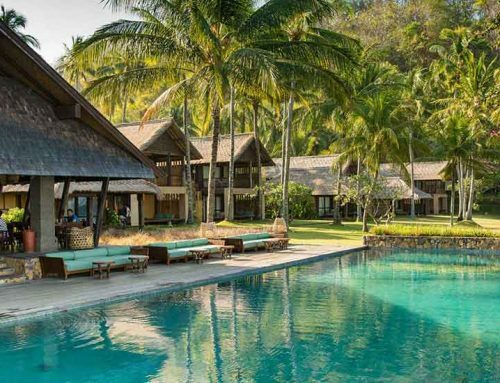 The Sanchaya Spa has a choice of indoor and outdoor treatment rooms: 2 treatment rooms, 2 verandas for reflexology and 2 outdoor pavilions suitable for Thai massages. Other treatments include herbal massages, traditional aromatherapy and Signature treatments, customised Chakra oils, herbal teas and the exceptional Kawasaki Way Treatment. There is also a gym which is open round the clock, with personal trainers ready to help you with your exercise routine. The hotel bar has an impressive wine selection, and the barman will make you a personalized cocktail from your preferred ingredients. Cigar lovers can try smoking fine Indonesian tobacco or sampling some of their finest Cubans. The Salon and Library next door is a perfect place for you to enjoy an afternoon reading. At night, a wine- and cheese-tasting session takes place in the estate’s cellar, where you’ll sample manchego, raclette and gorgonzola with an extensive collection of wine and champagne. 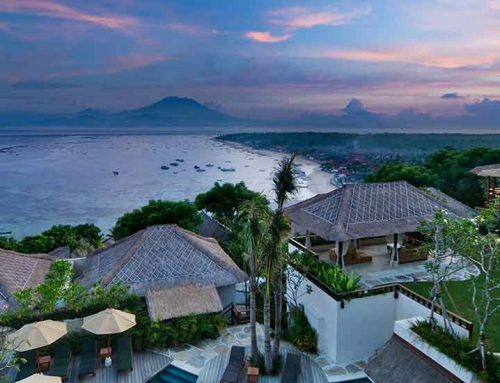 Sanchaya’s on-site boutique sells items such as swimwear, beachy kaftans and silk scarves. The Sanchaya is surrounded by rain forests and is abundant in exotic animal life such as chattering monkeys and monitor lizards. You can book mangrove tours and sightseeing through the hotel. Guests can also take the opportunity to explore the islands of Senggarang and Penyengat to see ancient temples, tombs and palace ruins. The activities concierge can organise almost anything: an open-cockpit seaplane rides; a game of golf, snorkelling or scuba diving. A cruise along the Sebung River will give you a chance to spot the macaques and silvered leaf monkeys that live in the mangrove forests. 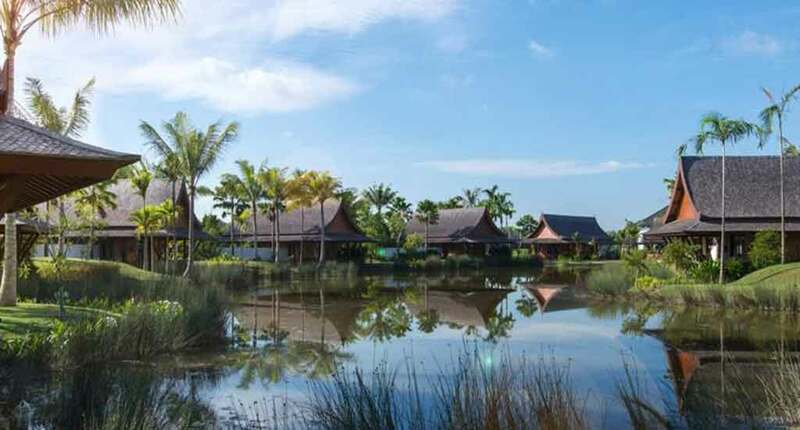 The Sanchaya Resort offers comfortable and convenient accommodations in Bintan Island, suitable for both families and couples. Address: Jalan Gurindam Duabelas, Plot 5, Lagoi Bay, Sebong Lagoi, Tlk. Sebong, Kabupaten Bintan, Kepulauan Riau 29155, Indonesia.